You are currently browsing the tag archive for the ‘Sparkling wine’ tag. This Japanese-inspired post is in honor of the Austin Bakes for Japan charity event on April 2nd. 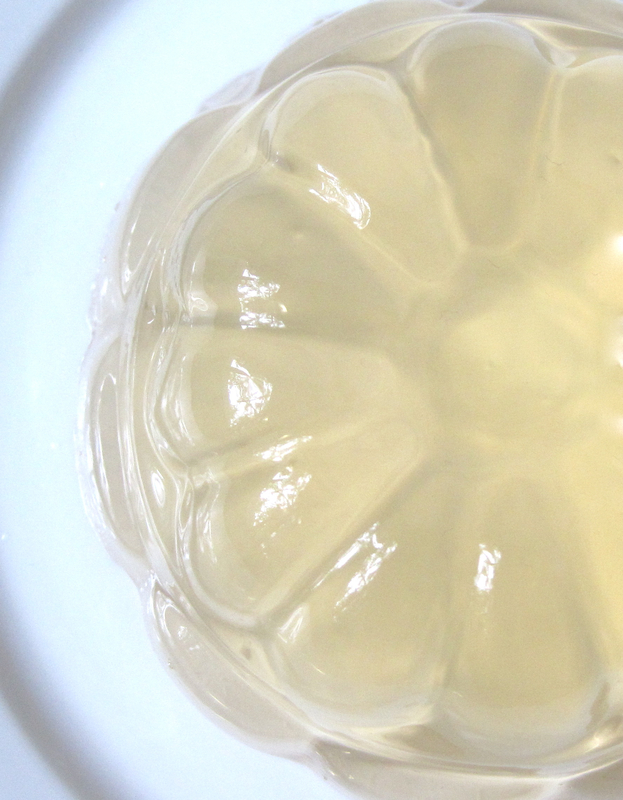 I’ll be selling gelatin molds at the Nomad Bar from noon to 2:00. All money will go to AmeriCares relief efforts in Japan. 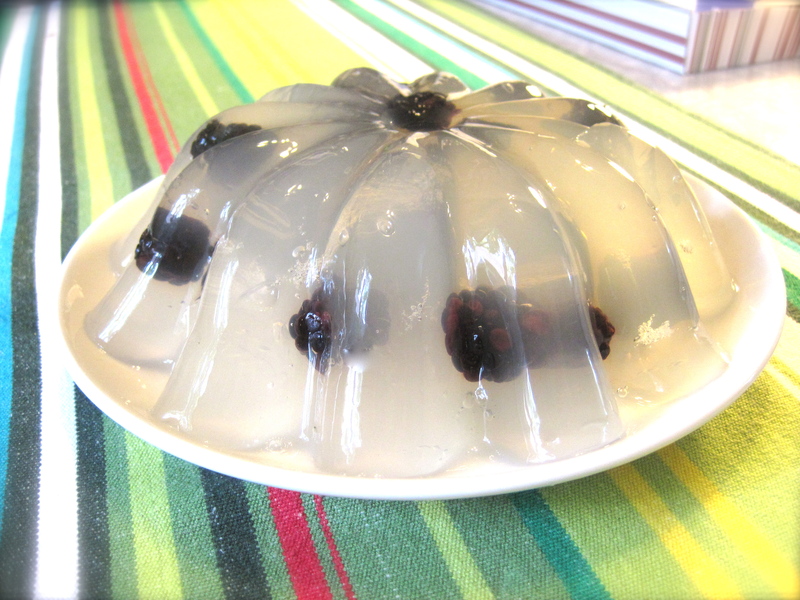 For this gelatin mold, I used plum wine (a traditional Japanese favorite), Cava (a not-so-sweet Spanish sparkling wine), elderflower syrup (an affordable substitute for the fantastic St. Germain), and blueberries. The plum wine and elderflower syrup added a fruit and floral sweetness to the bubbly Cava. The gelatinous result was really foamy, see all the bubbles? The sweet and boozy carbonation in solid form created a surprisingly odd yet fun tactual experience – I could feel the tasty bubbles popping in my mouth. Put rest of water over medium heat and bring to a low boil. Remove from heat add hot water to the bloomed gelatin. Stir until gelatin dissolves. Stir in Cava, plum wine, and elderflower syrup. Put mixture in refrigerator (or freezer) until thickened to a soft gel consistency. It should be easy to stir but thick enough to hold the blueberries. 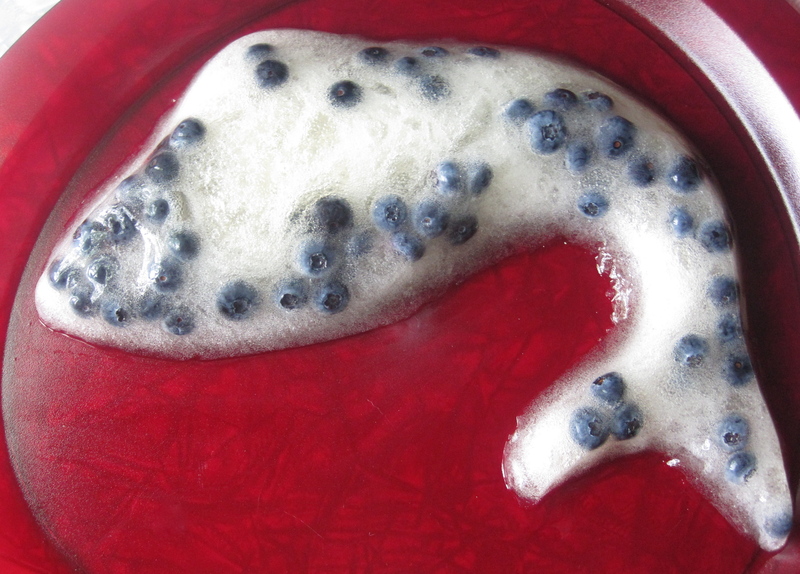 Stir in blueberries and spoon mixture into mold(s). Put in refrigerator until set, at least 4 hours. Put tangerine juice and sugar in a saucepan over medium heat and bring to a low boil until sugar dissolves. Add to the bloomed gelatin. Stir until gelatin dissolves. Stir in sparkling wine. Spoon mixture into mold(s). Put in refrigerator until set, at least 4 hours. Based on my friend Monti’s favorite “girls night” cocktail, the French Bohemia is made with sparking wine, St. Germain (elderflower liqueur), and blackberries. Since St. Germain is quite expensive, I substituted it with elderflower flavoring syrup. The sparkling wine (I used prosecco) gives a light sparkling texture while the elderflower syrup provides a subdued and floral sweetness. Put ¼ cup of cold water in a medium bowl and sprinkle 2 packets of gelatin on top of the water. Set bowl aside. Put Elderflower syrup or St. Germain over medium heat and bring to a low boil. 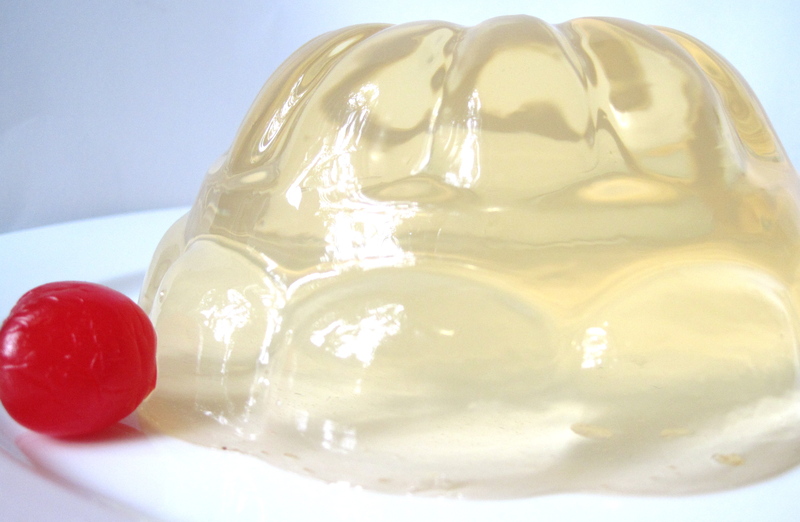 Remove from heat add to gelatin. Stir until gelatin dissolves. Stir in sparkling wine. Put mixture in refrigerator (or freezer) until thickened to a soft gel consistency. It should be easy to stir but thick enough to hold the blackberries. Stir in blackberries and spoon mixture into mold(s). Put in refrigerator until set, at least 4 hours. My initial gelatinous experiment, the prosecco dreamsicle, is like a creamy mimosa. The top layer is made of orange juice, prosecco (an Italian sparking wine), and mandarin oranges. 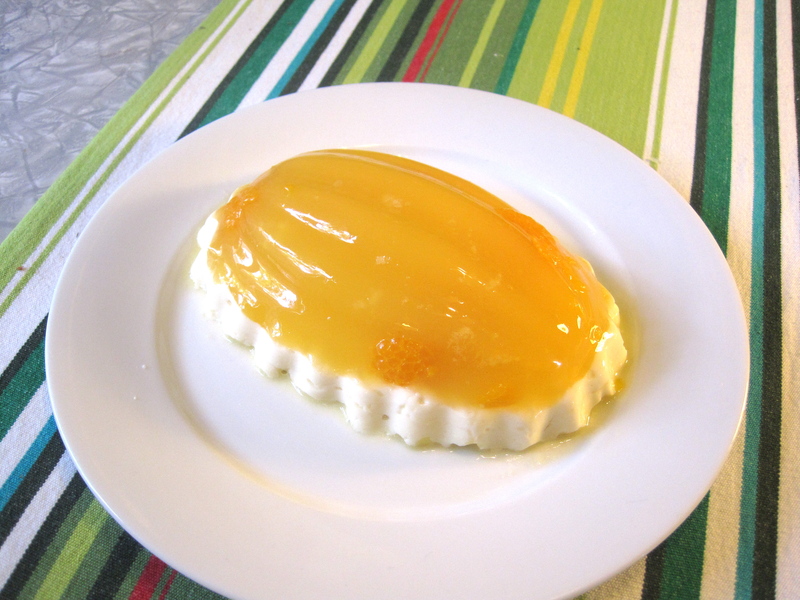 The bottom layer is sweetened condensed milk. 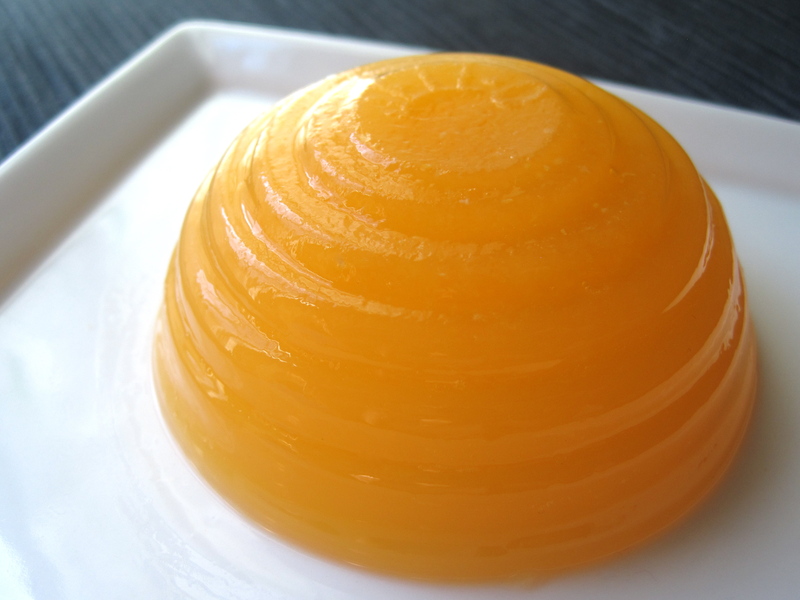 Mandarin oranges are sweet, juicy, and textural – an excellent addition to gelatin molds.